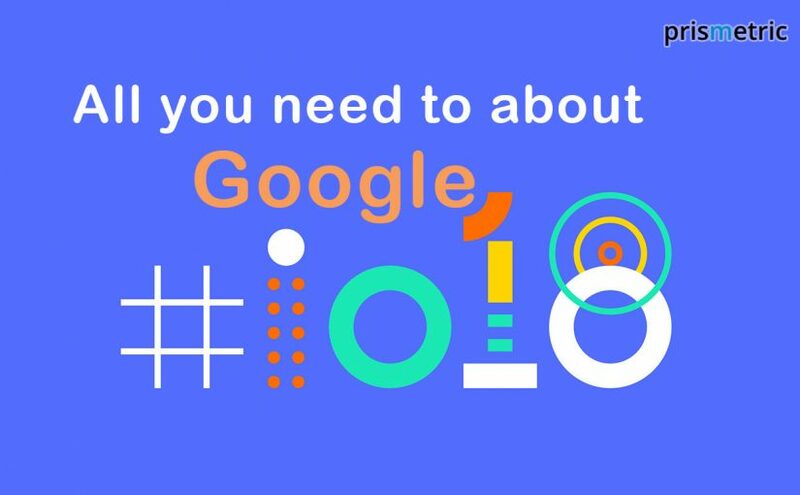 Biggest announcements from Shoreline Amphitheater at the event, Google I/O 2018 conference has been important for artificial intelligence and added a load of usability to Google assistant, Google ML kit, Android P and many more of its own services. Read the keynote to know everything about Google's event of the year. After a lot of speculations about Google I/O 2018 announcements, finally, the time has come when Google unveiled the secret projects being worked on. At Shoreline Amphitheater in Mountain View, California, the annual I/O developer conference kicked off by CEO Sundar Pichai has wrapped up its keynote with a bunch of amazing news. 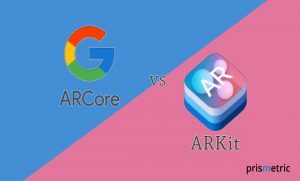 Last year at the google event 2017 there were many announcements that was appretiated by the tech-enthusiats. Let’s now get a few glimpses of updates inAndroid P, artificial intelligence introduction in many services, mind-boggling changes in the Gmail, and improved Google assistant that are the major attractions of the conference.Let’s dive in! 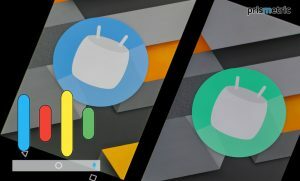 This autumn, the Android users can use the officially launched Android P version, while developer preview of Android P was made available earlier this year. Presently, its beta version is released for the Google Pixel, OnePlus, Mi, Sony, Essential Phone, Essential, and Oppo handsets. To enhance the user experience, the new features are added that includes adaptive battery that saves the battery life by determining the apps that are consuming more battery using machine learning; adaptive brightness that automatically adjust the screen brightness according to user preference and environment; the dashboard is enhanced with three-button navigation for digital well-being that showcases the time spent in apps, how many times the phone is unlocked and how you are spending the time on phone. It’s another experiment that Google made on the human services, where just by telling the Google duplex to make an appointment, it will be done as if a human being is doing it. The AI chatbots place the call on the behalf of the users and can reserve the hotel or book salon appointment. Sundar Pichai had given an amazing demo for the Google duplex at the developer’s conference where the recording of AI talking to hair salon service to book an appointment on the phone call is played. The conversation won’t give a single clue to the salon employee that they were talking to a robot. Google is putting efforts to become a central hub for the photos to improve the image recognition capability and get the visual search right. This is why Google photo app is made smarter with AI-powered editing features that allow users to separate the photos from the background, adjust the background color and brightness, and colorize the older photos. The AI intelligence also makes suggestions to the users when they are browsing the gallery by analyzing the photos and previous photo editing work. The advice can be- changing the brightness, rotation or other tweaks. The news app is now modernized where the users will see the news they care about, this is curated by artificial intelligence from the different sources as they published on the web. The AI-powered app analyzes and organizes the content published on the internet in the form of articles, videos or audios on various channels, and then provide the full coverage or a brief summary of the news to the users which enable the users to see the different perspective of the same piece of the news. The redesigned app helps the users keep updated with the news of their interest. This is a new feature that Google rolled out in 10 Android devices’ camera apps which are coming to the market in the next few days. The lens makes the device camera so powerful that just by pointing the app camera at any object, place or image, the lens will analyze and act upon them in the real-time. 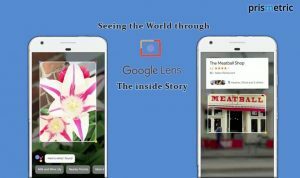 Basically, Google lens is an image recognition tool that processes the pixels of the photos, and then provide more details with related search tags using machine learning. For instance, just point the camera at any musician poster, the lens will start playing a music video; scan a dish in the menu and it will display the ingredients and recipe to cook the same dish; precisely scan any piece of cloth and the lens will display the similar clothes matching the style; scan a hand-written text, the lens will identify it and allows you to copy and paste the text in any of the text fields in the mobile device. The Gmail has never got that much better after its launch as it will become in 2018 with the new AI feature. The smart composer in Gmail will enable the users to respond to the emails smartly with auto-population of not just the texts, but the entire phrases based on the email context. Also, it makes the suggestions for extra phrases that can be added to the email. As the users start writing, the phrase will appear as pop up that user can select just by hitting a tab button and the phrase will get completed in an automated fashion. It helps in reducing the grammar errors and speed up writing the emails from the scratch. Machine learning (ML) technology is a new wave of revolution in the AI-based applications that are picking up the pace in the industry. 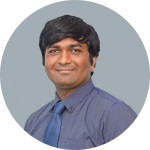 For the developers, it’s not plain-sailing to learn the ML and start developing the innovative use cases because it requires a ton of expertise. To lower the barrier for developer’s entry to ML-based app development, Google has released a new software development kit- ML Kit. The SDK makes it easier for the developers to integrate pre-built machine learning models such as text recognition, image labeling, barcode scanning, landmark recognition and face detection into the app, and build one-of-a-kind apps. The leading tech giants are racing the AI race to trap the developers in their ecosystem to gain an edge over the competitors. To exploit the same niche, Google rolled out a new ML hardware- TPU (Tensor processor unit 3.0) pod that’s eight times powerful and perform better than its predecessor. The third-generation of TPU is not a surprise this year because, for the sake of performance, the company is expected to make it better. To add another screen to the user experience, Google has planned to create smart displays that don’t just answer the user’s questions through Google assistant while also showing the visual display with the YouTube. It implies the user can listen and view the help they need, and in the event, the voice is not enough, then visuals can resolve the problem. These smart displays are also considered as an answer to the Amazon Echo show product in the market because the Google’s product will have a visual interface along with voice interface that will make it impressive and appealing. Your best assistant right on the smartphone will make you feel more natural with a continued conversation update to the Google assistant. Now, there will be no break in the conversation with the elimination of the need of saying “Hey Google” or “OK Google” repetitively as you ask several questions to the Google assistant. The users can continue the conversation and ask multiple questions within the same request by saying “Hey Google” just once. The voice varieties are the add-ons that allow the users to choose from the six voices that enable them to converse in the sound that makes them feel natural. Now, the definition of maps has gone beyond the directions. It makes the Google to modernize and add recommendation feature to the map with app camera, augmented reality and street view data. Now, the users will just point the camera in any direction, Google will combine the AI with street view data, and provide the information about the shortest route alongside gives the turn-by-turn directions on the move using AR. Going ahead, it’s also providing personalized recommendations for the local places, restaurants or markets, which is highly advantageous when you are moving to a new city. Google has covered all the important announcements in the I/O conference in the 90 minutes of presentation. The key highlights of Android P beta for public release, the new version of Google map that’s beyond directions, AI extension to many services, and enriched Google assistant have stolen the show. The opening keynote announcements have cleared the air that Google is working to make the user experience better year after another. Enjoy the new offerings and services in the coming time!